I'm always impressed by the talents and interests of the people who read this blog. One such talented reader is photographer Anthony Picozzi. I've featured Anthony on Martha Moments before when he shared his beautifully-decorated home in Newport, Rhode Island, with us before the holidays. Anthony is a skilled photographer who also has a deep interest in historical residential architecture. 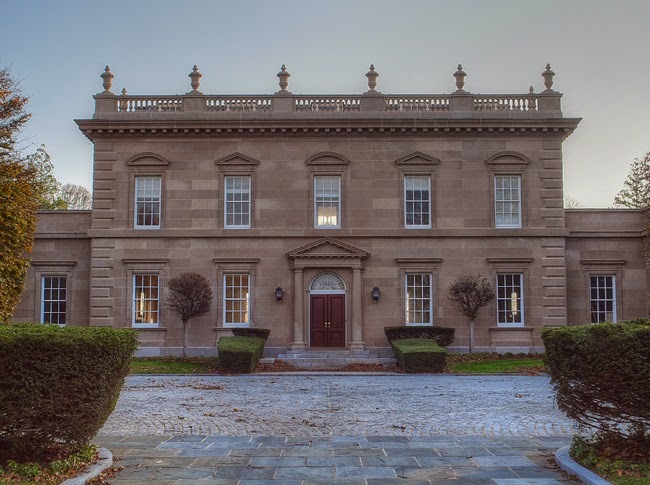 One of his ongoing projects is photographing and documenting the historic mansions of Newport. 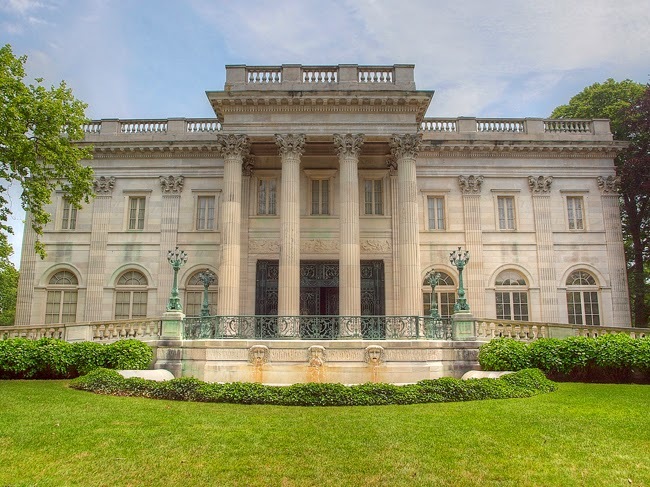 I asked Anthony to share ten of his favourite photographs of these grand and fascinating homes: palaces of the founders of American industrialism. Some are still private residences while others have been converted into museums. You can see them and learn about them below. Visit Anthony's website to learn more. You can also buy some of Anthony's prints at his Etsy store. Seafair was the summer residence of Verner Zavola Reed, Jr. Designed by architect William MacKenzie, construction was completed in 1935. Mr. Reed was heir to the Cripple Creek, Colorado gold mining fortune who later became a vice-president at Chase Manhattan Bank. In 1981 President Reagan appointed him Ambassador to Morocco. The house remains a private residence. Champ Soleil was built in 1929 as the summer residence of Lucy Drexel Dahlgren. Architects Polhemus & Coffin were inspired by the hunting lodge at Versailles called La Lanterne. The house remains a private residence. Clarendon Court was built in 1904 by architect Horace Trumbauer for Edward Collins Knight, Jr., son of a Philadelphia sugar refiner and director of the Pennsylvania Railroad. The house is notoriously known as the former residence of Sunny & Claus von Bulow. The house remains a private residence. 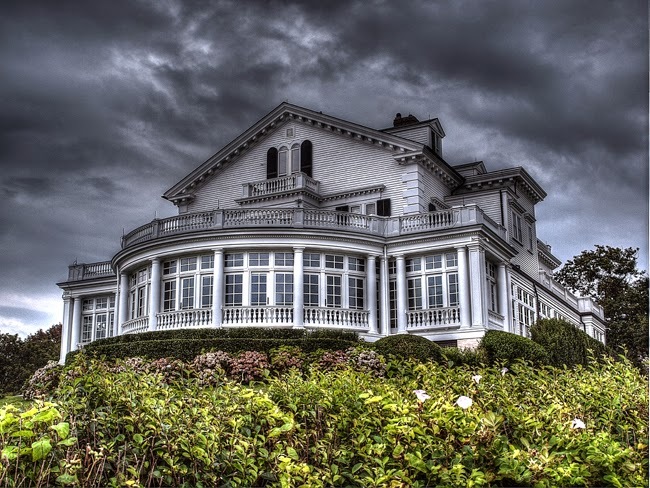 Gooseneck, now called Ocean Bay House, was completed in 1917 as the summer residence of Mr. Jerome C. Borden. The house remains a private residence. Marble House, completed in 1892, was the summer home of Mr. and Mrs. William K. Vanderbilt. Richard Morris Hunt was the architect. The house is presently owned by the Preservation Society of Newport County and open to the public as a museum. 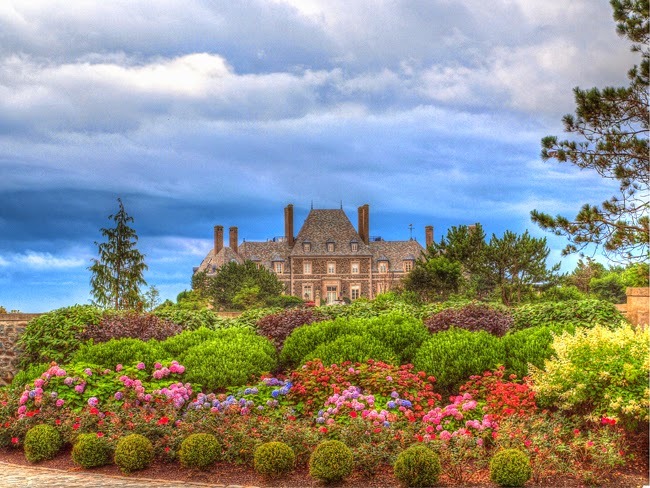 Rosecliff was commissioned by Nevada silver heiress Theresa Fair Oelrichs in 1899. 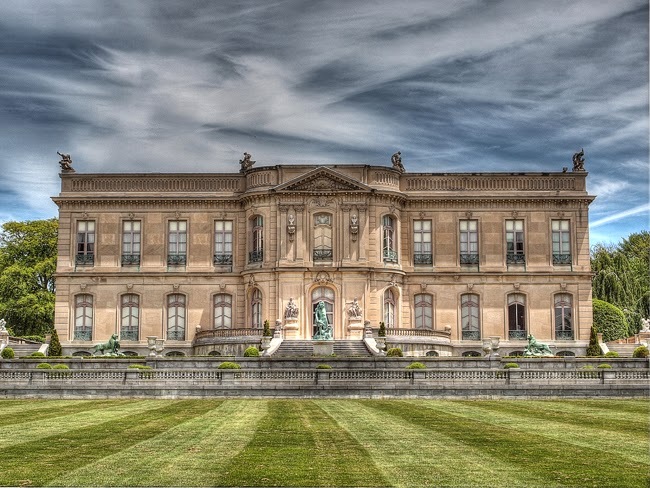 Architect Stanford White modeled Rosecliff after the Grand Trianon, the garden retreat of French kings at Versailles. 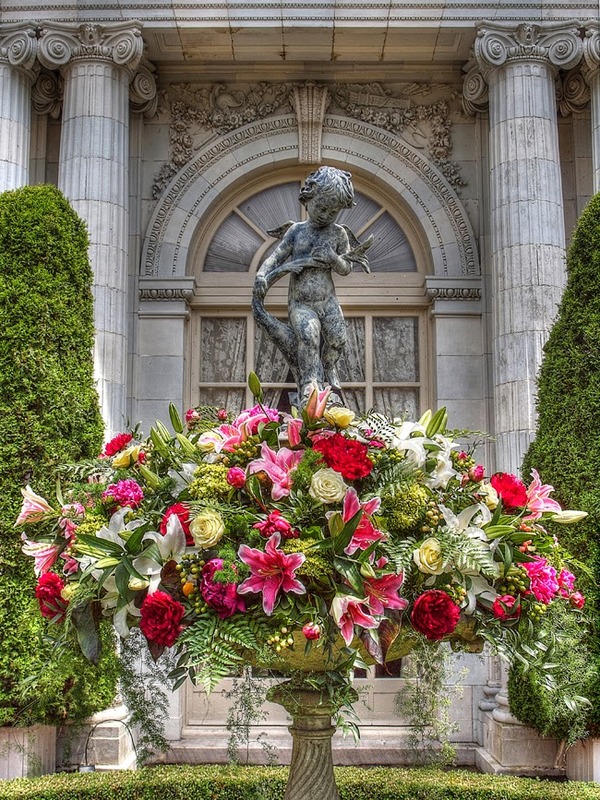 The house is host to the Newport Flower Show each year and is currently owned by the Preservation Society of Newport County and open to the public as a museum. Normandie was the summer residence of Lucy Wortham James. 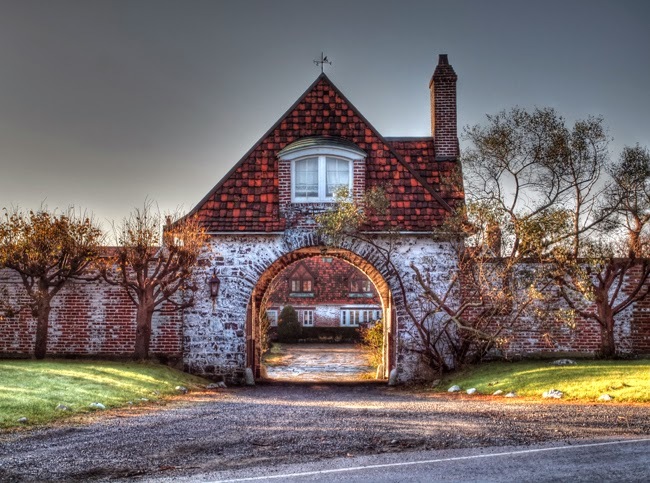 Architects Delano & Aldrich designed the home in the Norman mode with a narrow rectangular-plan gatehouse near the road in 1914. The house remains a private residence. 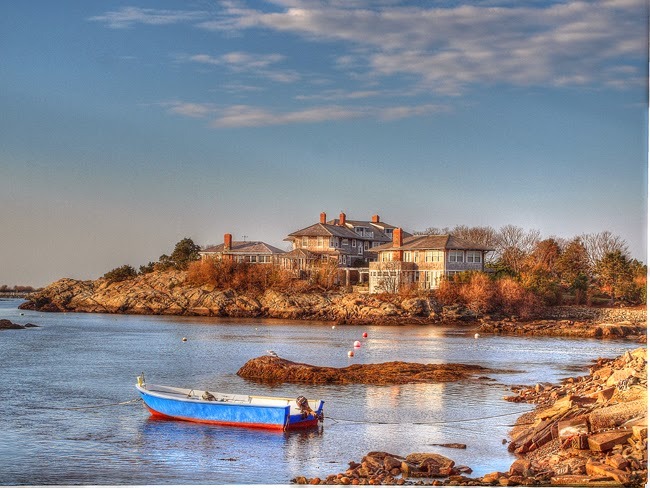 Seaweed is a spectacular oceanfront estate situated on Newport’s famed Cliff Walk. Completed in 1861 for Mr. Henry Howard, the house was later altered in 1867 by architect George Champlin Mason and again in 1904 by architect Horace Trumbauer. The house remains a private residence. 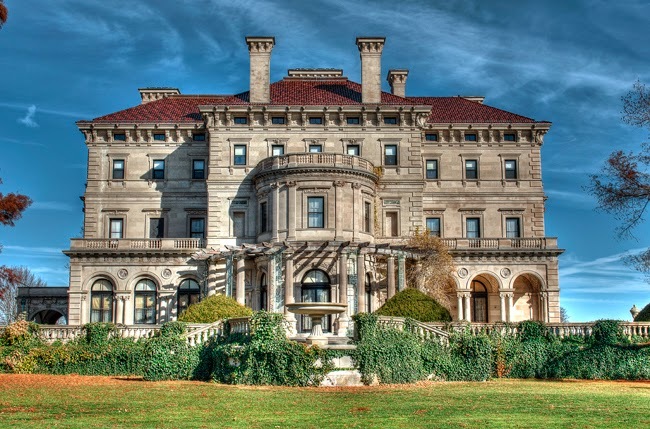 The Breakers was the summer residence of Mr. and Mrs. Cornelius Vanderbilt II. Designed by renowned architect Richard Morris Hunt, the 70-room mansion has approximately 65,000 sq ft of living space. The home was constructed between 1893 and 1895 and is presently owned by the Preservation Society of Newport County. Vanderbilt heirs maintain summer residence on the third floor. The house is open to the public as a museum. The Elms was the summer residence of Mr. and Mrs. Edward Julius Berwind of Philadelphia and New York. Mr. Berwind made his fortune in the Pennsylvania coal industry. 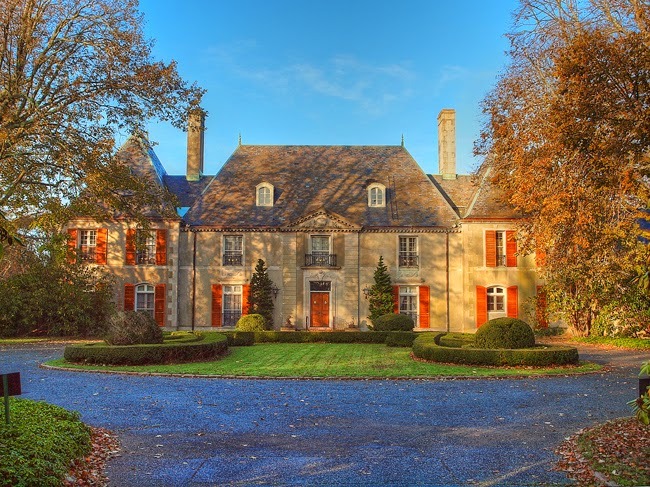 In 1898, the Berwinds engaged Philadelphia architect Horace Trumbauer to design a house modeled after the mid-18th century French chateau d’Asnieres outside Paris. Presently owned by the Preservation Society of Newport County, the house is open to the public as a museum. I 100% agree with you. His place needs to be featured in MSL. Gracious! I tried but I simply cannot choose a favorite of these photographs. Not only are Mr. Picozzi's subjects incredible, his photography is breathtaking! Bravo, and well done!! Thank you for featuring Anthony again and thank you for the pleasure that is always reading your blog! The photos are indeed stunning. However, the names of the trades responsible for the blood sweat and tears spent in laboring over brick, stone, mortar, wood, and paint should not be forgotten. I wonder if the trades were paid to allow for a standard of living befitting their artistry? Or is it like today CEOs earn 250 times the salary of the the average employee or is least paid employee.... The vast wealth that allowed unfettered exploitation of workers comes to my mind when I see any millionaires row .